But hopefully, like the producers at Potemkin Pictures who are making ongoing fan series that follow all of the guidelines except the “no additional seasons or episodes” one, Trek Isolation won’t be getting a call or an e-mail from CBS or Paramount. It should be noted that Eric Moran and company are also planning to do a separate fan series called Dark Isolation. Following in the strategy of Renegades to eliminate all direct Star Trek references and only be “inspired by” Star Trek but, Dark Isolation will not technically be Star Trek and therefore remain immune from the guidelines for the moment. At the same time, Trek Isolation will continue to make new episodes, as well…but under the restrictions of the fan film guidelines. It’ll be interesting to see what happens! 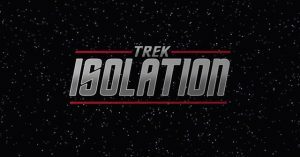 In the meantime, Trek Isolation‘s first full episode, which is still branded as Starship Farragut as well as Trek Isolation (and directed by Farragut‘s John Broughton) is now available for viewing. With a pretty obvious nod to Monthy Python and ample roles for Renaissance Faire cosplayers, plus some ambitious physical stunts, the six-and-a-half minute short film is fun to watch, well acted and directed for a fan production, and a good kick-off for the new series…assuming we get more episodes (which I sincerely hope we do). You can view “Out of the Fire” by clicking here. Also, you can read the entire history of Trek Isolation‘s parent series, Starship Farragut, in this 3-part feature on FAN FILM FACTOR. 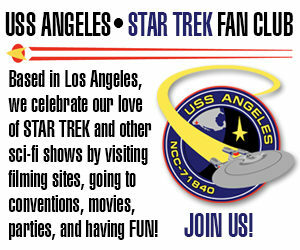 I thought Trek Isolation was to become Dark Isolation and go independent like Renegades did. Did I miss something there? I’m glad you brought that up, Alex…it gives me the perfect excuse to elaborate on the Trek Isolation/Dark Isolation situation. Eric Moran and company are planning to do BOTH series simultaneously! So Dark Isolation will be “inspired by” Star Trek but, like Renegades, not technically Star Trek and therefore immune from the guidelines. At the same time, Trek Isolation will continue to make new episodes, as well…but under the restrictions of the fan film guidelines. It’ll be interesting to see what happens! Very interesting. Thanks for the clear up. Previous Previous post: PROJECT: POTEMKIN releases its SERIES FINALE (but it’s NOT ending because of the GUIDELINES)!